3s: sower, seed and soil. 3 “Listen! Behold, a sower went out to sow. 4 And as he sowed, some seed fell along the path, and the birds came and devoured it. 5 Other seed fell on rocky ground, where it did not have much soil, and immediately it sprang up, since it had no depth of soil. The above text reveals how Jesus was communicating one of the most vital kingdom truth to the crowd by the sea shore. This time he was using parables. Parable was important in helping him conveying the most fundamental truth they could culturally relate to. It was about the sower, seed and the soil. Before then, he had already taught many things using parable. But this time, he wanted to break an idea that would revolutionize their life. Simple, yet profound. It was the truth on seed. I decided to pick the 3’s in the order it appeared in the verses. I recall years ago, while majoring as a Botany student in the University of Benin, Nigeria. One of my complication was remembering the Botanical names of plants. It was profound to me that seeds requires time and patient before it can grow. While I would spare you some details, including the botanical names of some seed, I recall with accuracy how professors, would meticulously and intelligently select seeds that would grow into plants by making sure they are exposed to favorable condition that would enhance the growth of those seeds. Sower: The sower in this text took steps to achieve a purpose. He needed to sow. Soil: The soil accepted the seed. Based on our current limited verse, we are not yet told what the Seed represent and what the soil meant. So stay with me until we get further into it on our next text. We understand from the text that a seed had been sown. Jesus meant this parable to be foundational as he later explained. Some fundamental question. What seed are we sowing? 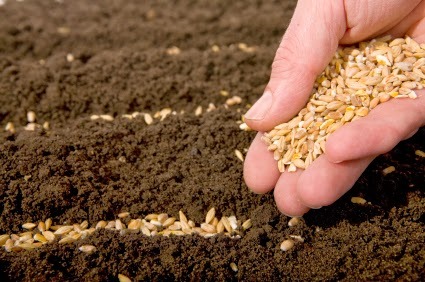 In my “Sure Foundation” Class in Charis Bible College, Andrew Womack would say, “I cannot tell the type of seed you have planted, but I can honestly tell you what you have sown; by what you are reaping.” You may not admit it yet, but seed don’t lie. You can’t sow orange seed and harvest mango fruit. In got question, the writer puts it more clearly, “a man’s reception of God’s Word is determined by the condition of his heart.” A secondary lesson would be “Salvation is more than a superficial, albeit joyful, hearing of the gospel. Someone who is truly saved will go on to prove it.” May our faith and our lives exemplify the “good soil” in the Parable of the Sower. Previous Brotherhood is redefined Next 3s: sower, seed and soil, part 2.